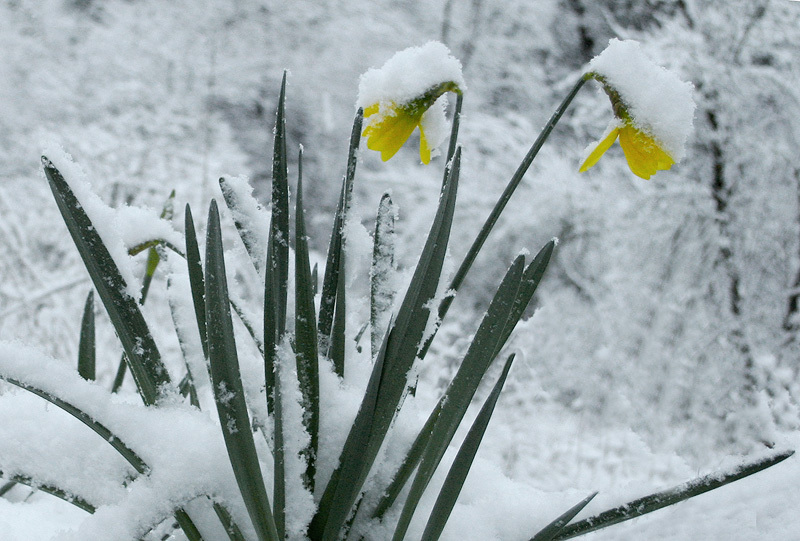 Even though the daffodils are in full bloom, the winter storms keep rolling in, with snow and big rains. A perfect image of the overlapping winter and spring. How brilliant the yellow and green look against the white snow.